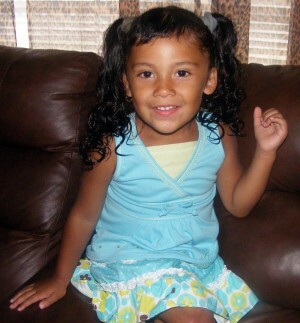 3 year old Breeann Rodriguez has been missing since Saturday, August 8, 2011 around 12 in the afternoon when she vanished without a from outside her home in Senath, MO. According to police, Breeann Rodriguez went missing this morning after she was playing in front of her home on a pink bicycle. Breeann was riding a bicycle when her brother went into the house and came back out, she was gone. Breeanne was last seen wearing pigtails and a blue shirt. Senath is located in Dunklin County, about 150 miles south of St. Louis. A $45,000 reward has been offered for information as to the whereabouts and return for Breeann Rodriguez. Investigators also are asking for information on a white cargo-type van seen near Breeann’s home a few days before she disappeared. The van had no side windows and a ladder was mounted on the back. The FBI is offering a $25,000 reward for information leading to successful recovery, arrest and prosecution if someone did take Breeann. 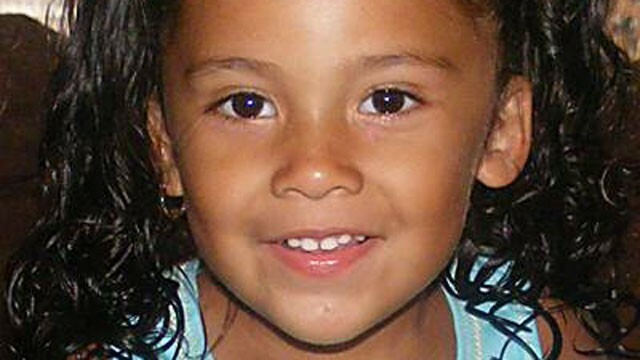 The Senath Police Department has a $20,000 reward for her safe return and conviction of whoever may have taken Breeann. UPDATE I: Investigators find two pieces of evidence … Senath Police: Evidence is negative sign in search for missing Breeann Rodriguez. The police are not elaborating on what the evidence is and the fact that they think its a bad sign makes me think that it might be an article of clothing or shoes, etc. While they feel this new lead is a good sign Senath Police Chief Omar Karnes believes the opposite. He said finding this type of evidence or any evidence that can be connected back to Breeann gives him a bad feeling. “I don’t want to find… I want to find her alive,” said Karnes. He said finding pieces of evidence leads him to believe that someone is trying to hide something. The area where they found the items has been searched before and they found nothing. Get more details, updates and provide your own opinions at Scared Monkeys Missing Persons Forum: Breeann Rodriguez. what a precious looking child. as a mother, i never took my eyes off my children. i was very paranoid about abduction. to this day my children are the same way with their children. never take your eyes off your children. Dear God, watch over this child and bring her home safe. No you can’t take your eyes off your child. You also have to keep an eye around their surrondings, this animal that took her was lying in wait for the right chance and took it. I’m a bit confused on the information coming out. Originally it was stated a white van and its owner had been interviewed and cleared. Now we are hearing that they’re looking for a white van again. Was it simply the first interview made it clear that particular white van was not the one in question? If so that means there is another out there to be found, right? When I heard of evidence my first thought is that it was the bike. If there are two pieces of evidence, someone definately IN THE AREA did this and is now disposing of this and that. Horrible. Also, the headline here says she “left behind” her pink tricycle, but I read elsewhere the bike had also vanished? SM, can you please clear up my clouded mind in this one? Thanks! Uh oh. Read that BOTH of Breean’s parents failed a polygraph. Also read a statement analysis on another site and the statements given on NG by the father (according to them…I didn’t see the show) indicated deception. Really sad if true. Went back and found the link. Something is not right here. EDGAR RODRIGEZ, BREEANN`S FATHER: “Well, we bought her the bike and I put the training wheels on. When she would ride it outside, any type of indentation on the ground the middle wheel would spin because it was supported by the training wheels. And I keep telling myself that I was going to take a wrench and loosen one up. But I never did and one time, I was outside with my daughter and I got upset because she kept having trouble with it. So I told her to get off, and I bent one of the wheel and that way the bike wouldn`t be so wobbly. It`d be supported more on the middle wheel. The word “well” is used to make time to think of an answer. Note that “we” now changes to “I”. The use of the word “we” is appropriate if he is speaking for her, but this is via telephone and it should be considered weak and sensitive. Note some additional wording: “my daughter” instead of using her name; note “I got upset” and that he uses the word “told” to a 3 year old. This is the 3 year old that he said must get up, brush teeth, get herself breakfast before she can go out, as if she is much older. The word “told” is stronger than “said” and taken with “I got upset” is an indication that Edgar Rodriquez lost his temper. This may be our first insight of what happened to Breeann Rodriquez. I got spammed HOpefully this post with the link to the statement analysis will go through. Really, this child is too precious to be in danger. Prayers for Breeann, and let’s hold out hope again that if the parents know anything—LE will close in or one of them will break. Although we expect there to be countless more missing, murdered, exploited children in this lifetime—doesn’t make hearing about another case any less disturbing. May GOD be with you my little angel. May he confort you and hold you so tight my little mama bella. I hurt so much for chiquita, hermosa. I hope you are safe. Parents should always watch their kids, and never leave them alone, that is a must. Knowing how the world is you are responsible for your kids, specially that young.